I love, love, love coconut oil. This particular kind from Pure Body Naturals--fractionated---is awesome because it doesn't go bad the way a lot of other oils can. I use both this coconut oil and argan oil on my curls in the morning and evening. I also love to use either oil, especially this oil on my skin after I shave. My skin looks healthy and glows, it feels smooth and soft, and of course it's very moisturized afterward. It really does not have a scent and yes it's clear. I actually spilled a bit on my shirt and was scared it would stain like I've done with other oils, but nope- it came right out in the washer. This is a relief since like I said, I use it twice a day. I would hate to be destroying my towels and pillow cases and clothes if it were the kind of oil that did stain. Have I seen any huge noticeable differences in my hair or skin? Actually, since I started using coconut oil, period, several months ago- I have noticed that my hands and my legs seem to not get so dry as often. Great for me, because I have been known to get some really dry scaly skin at certain times during the year. My hair is shiny and healthier for sure. Yes, recommended. It's really worth trying out, in my opinion. 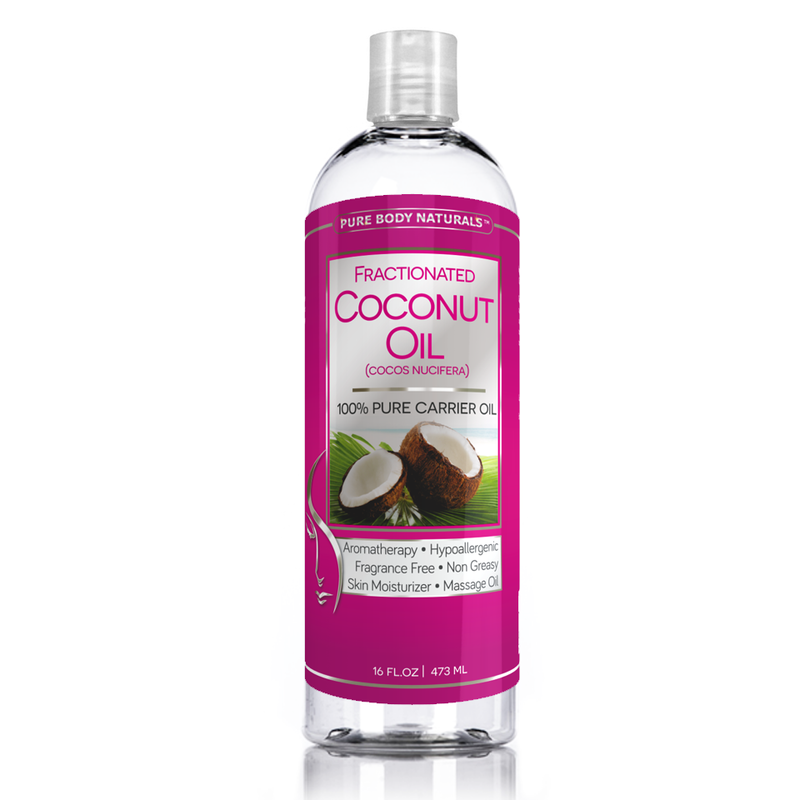 Click here to purchase your very own bottle of fractionated coconut oil on Amazon.